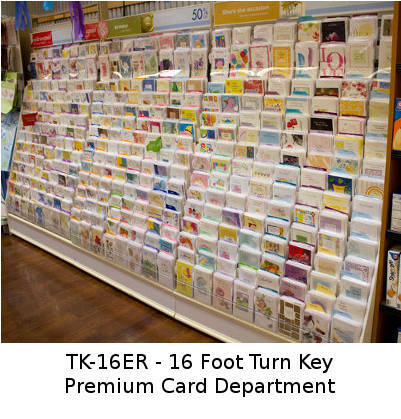 An excellent Card department - 16 feet of top-selling premium Greeting Cards together with 16 feet of free Card Racks, with free shipping. This Turn-Key ensures your customers will find exactly what they need and make your Store their number one choice for purchasing cards - and much more. Only $3999 - includes Cards, Fixtures, Shipping! We will be working with you to ensure that every part of the installation, maintenance and reorders will be easily carried out. InterGreet.com will also be actively involved in helping you to maximize your profits in the years ahead. Each brand-new 4 foot display unit holds 96 designs of greeting cards packed in 6. Being modular, it is easy to extend or reduce in 4' sections. Price includes End Panels, Divider Clips, Sign Displayer and Signing. Back panels (if needed) are extra. 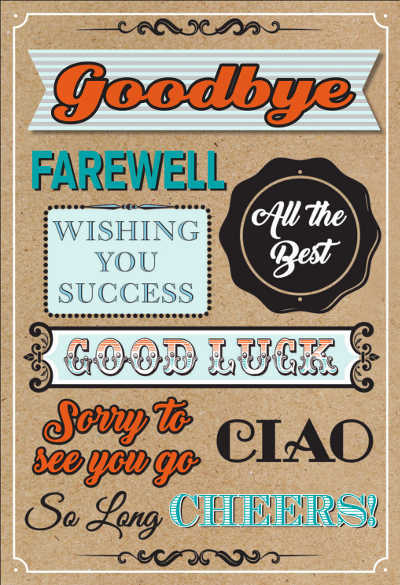 Shipping of cards is free, and shipping of product is also free - for a limited time. Allow 2 - 3 weeks for delivery of this item. Racks need simple assembly and you will need to place cards into correct position. But we will walk you through this simple process. 1. You will receive attractive free fixtures with your order. 2. Shipping of the fixtures is extra - see shopping cart. 4. Prices are for the 48 contiguous States. Hawaii, Alaska, US Territories, Canada & Overseas will need a customized shipping quotation. 5. After you have placed your order, our service people will contact you to obtain info on demographics, seasonal and location of dept in your Store, so we can ensure you receive the very best program for your shoppers. The card racks, valued at $1400, are free. Quite frankly - this is a fantastic deal.